The still-maturing ecosystem of serverless means that there is not a range of tools available for specific aspects of application deployment within this infrastructure style. But also, the nature of serverless as an events-driven architecture — where cloud providers or others are responsible for autoscaling and managing the resources necessary for compute — means that in many cases, it is difficult to usefully test for how things will occur in a production environment. While this is true for all applications at scale, serverless also brings its particular context. Serverless is built on immutable infrastructure that spins up during an event, so it is not even possible, often, to create the same workflow twice, making staging and testing prior to production impossible. Majors points to five emerging techniques that can be used to manage serverless testing in production. This makes it possible for anyone in a business to be able to test their own changes: A CEO updating the business website or a marketing team member adding API product landing pages to a developer portal could use feature flags alongside a tool like LaunchDarkly to test the changes they have made prior to making them live for the majority of the customer base, for example. Often, Majors says, feature flags are something an internal team might hack up as they go, but that limits their usability internally as it is often built without the user interface that makes it accessible beyond the engineering team who built them. Staged rollouts with auto promotion to larger groups: This is a type of canarying with a staged component, instead of deploying to a specific geographic segment. “You set the canary at 10 percent of all production. Then you automate so your system compares that 10 percent against the rest of the system. When there are no errors or concerns, then it promotes the deployment to 25 percent. If at any point it is not okay, the system would either revert to pre-deployment, or, like the staged rollout itself, do a rolling revert,” said Majors. Majors says this is useful particularly for applications at scale, as often there are problems that may not exist at lower levels of deployment in production. “There may be problems you only see when you get to 80%, for example, because it requires opening more connections, or using more RAM. There becomes a tipping point where at aggregate level it takes the server down,” said Majors. Rich instrumentation: “I firmly hope that we are going to look back to today as the bad old days when we shipped code and if we don’t get paged, then everything is okay,” warned Majors. At Honeycomb, her commitment is to building rich instrumentation so that developers can ask whether shipped code behaves as expected. “We should be capturing enough detail so we can see. As an industry, we are still coming up with universal principles for instrumentation. It is an art as well as a science.” Because of the nature of global applications, and the size of serverless and their often large workflows of multiple functions, entire architecture systems can’t fit in the heads of a single architect overseeing the system anymore, requiring a richer set of tooling to assist with managing production. Observability-first development: All of this comes to a new paradigm Majors hopes will take the application development industry beyond the current test driven development principle. With rich instrumentation, it will be possible to monitor systems and understand who they are performing in real time. In an observability-first development paradigm, an engineering team might map the desired outcome from a workflow, application or feature rollout. But then before coding for that feature or workflow, the team would then create their instrumentation toolkit that first, might ask if the solution is even worth building, but then would be able to monitor both development and deployment to ensure alignment with the initial objectives. “It is like wearing a headlamp. Instead of building a feature and monitoring it, which is a very blind approach, with observability-first development you build instrumentation first. It makes gives more confidence to developers,” Majors said. 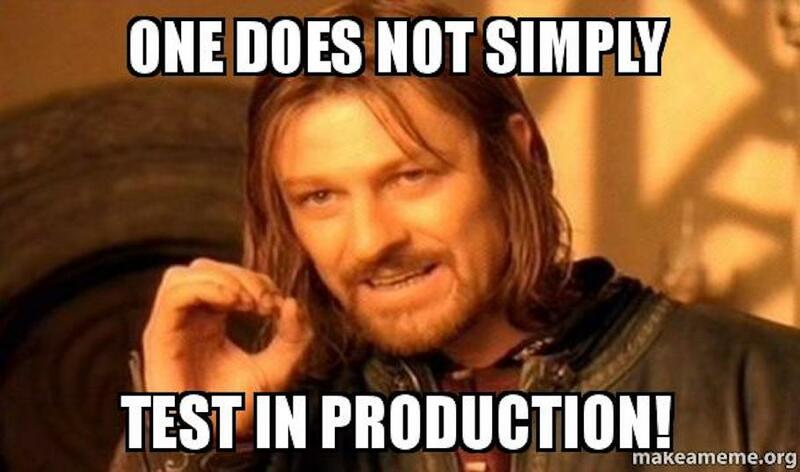 Feature image: One Does Not Simply Meme Generator.